Lassi and Chutney and Dal, Oh My! Have you seen the Washington Post article “Scientists have figured out what makes Indian food so delicious“? Not that it needs to be scientifically proven, but the scientists at the Indian Institute of Technology suggest that the reason you are probably craving Indian food right this very second is that Indian recipes pair ingredients that have dissimilar flavor compounds. In contrast, Western cuisine tends to pair ingredients with overlapping flavor compounds. Science aside, I want some naan, some samosas, and some curry for lunch. Sadly, that probably will not happen, but I will make it my mission to have some by the end of the week. 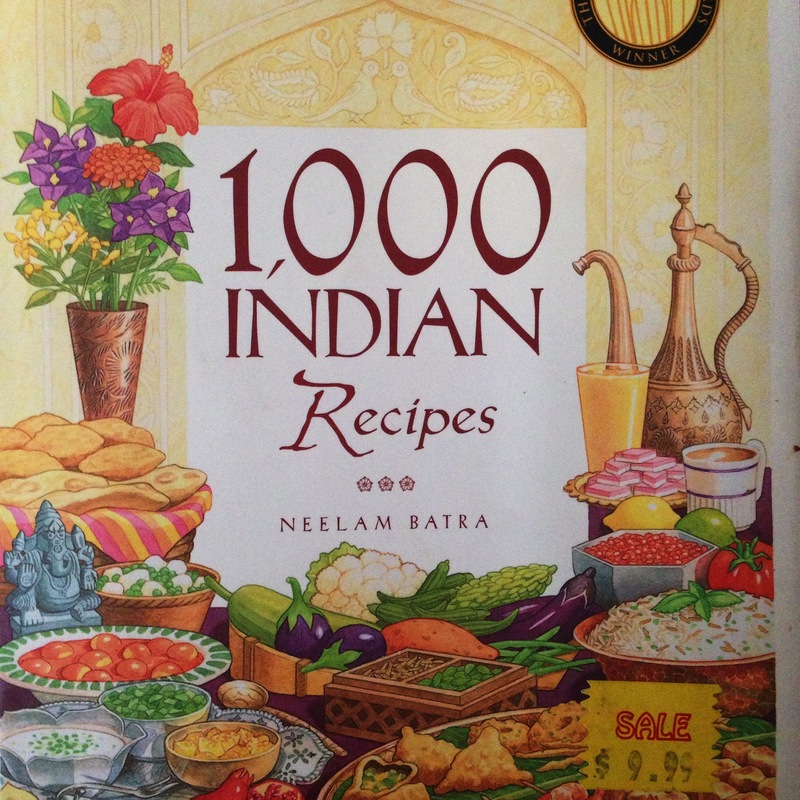 Maybe I’ll use the recipe site that the scientists used, Tarla Dalal or the book that I snagged at Brookline Booksmith, 1,000 Indian Recipes by Neelam Batra. As you can see, it was quite the deal. If I’m feeling less adventurous, I’ll probably want an expert to prepare it for me. Favorite Indian restaurants include Punjab Palace in Allston, Passage to India in Cambridge, and Mela in the South End. I’ve been curious about Diva Indian Bistro in Somerville, so maybe it is time to check it out. Any favorite Indian restaurants, recipes or markets?